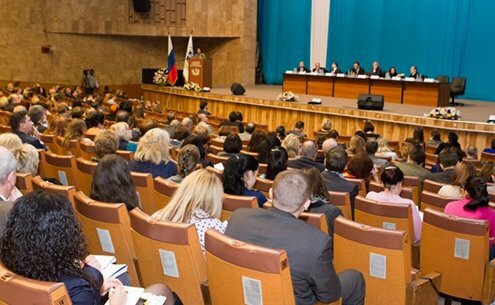 On November 28-30, we provided services for the alignment meeting of vice-chancellors and pro-vice-chancellors on foreign affairs, which was held at the Russian Peoples' Friendship University, Moscow. The event was attended by the Deputy Minister of Education and Science of the Russian Federation, Prof Veniamin Kaganov, the Deputy Director of the Department of International Cooperation Larisa Efremova, other officials and representatives of the Russian higher education. We were responsible for the elaboration of concept, schedule, the program of the event, invitation of participants, provision of information support, as well as organizational and technical assistance.